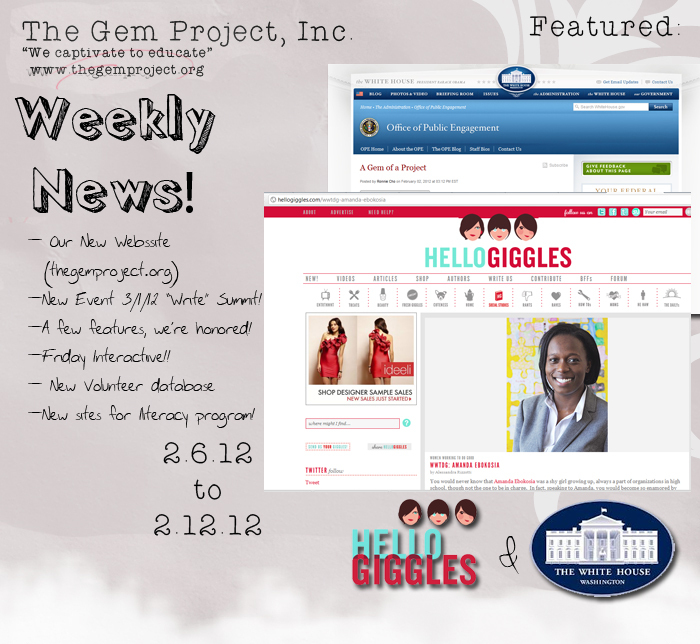 Last week we were fortunate to have our efforts documented through the White House blog and HelloGiggles. Our founder, Amanda A. Ebokosia, was first interviewed byJulia Gazdag who forward the notes to Alessandra Rizzotti, former child model and now today’s comedian who works for Family Guy — to write our story, which has brought us new supporters. They both did a beautiful job! Right? A day later, we were featured in the Young Americans section of the White House Blog. Both features were such an honor. When we have our monthly meetings we sometimes discuss how we could make use of our time a “little” better. Knowing that we would attract new volunteers and supporters, we updated ourwebsite! It was a complete renovation, which makes it easy for you to navigate and seevolunteer opportunities in real-time. As a team, we inspire each other. We hope you’re celebrating with us every week. We work for you and our community first, before ourselves. We managed to book 4 slots in February for our interactive literacy programs. This month, we are traveling to four Newark, NJ site locations to have a speech writing, public speaking, and debate exercise for our youth and children. We’re looking for 8activity leaders to help us! Please see our volunteer opportunity details. PLEASE NOTE THIS WEEK: Tickets run for $10 only. After 2/12 they will go up to $15. Contributing writers, Local Magazines, Young Professionals = Love for Writing? 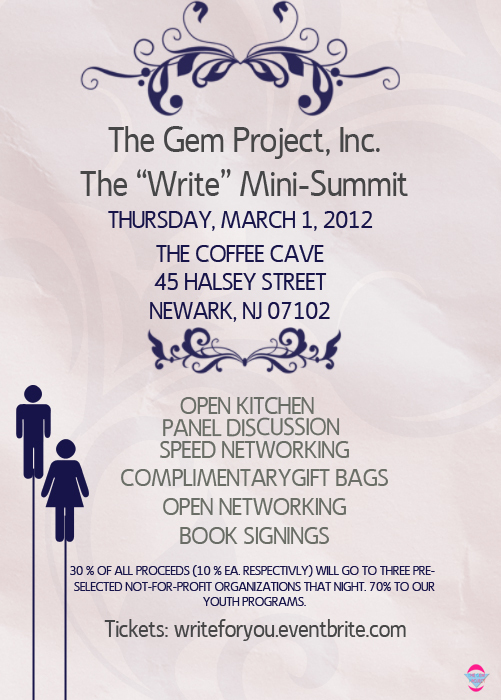 Attend our fundraiser and networking benefit. Click the flyer above! A trip down memory lane: Last April, we educated over 150 children in Newark, NJ about autism. In result, they participated in our autism quilt and was well aware of people who struggle with disabilities. In this case, it was a social impairment. Autism is a neurological disorder that negatively affects the way one communicates and relates to others. It is a ‘spectrum’ disorder, meaning it affects each person differently. Brown70Films filmed this PSA for us! We thought we dip our hands in our archives and share it with you again. Friday, we have a special surprise for you. Just wait.